Anthropology is a comparative science that examines all societies from different angles to gain a better understanding of humanity’s past, present and future. No matter what major you are pursuing at Truman, you can increase the multicultural dimension of your degree with a minor in anthropology. When you pursue an anthropology minor, you add to your intellectual foundation and enhance your cultural awareness as you explore the societies of the world. Learn how to ask thoughtful questions and use your critical thinking skills to discover what shapes the world. Anthropology provides an understanding of the basics of cultural variation that’s useful in a broad range of fields such as medicine, law, counseling, nursing, and nutrition. An increased sensitivity to ethnic and population diversity also facilitates working in an international setting. 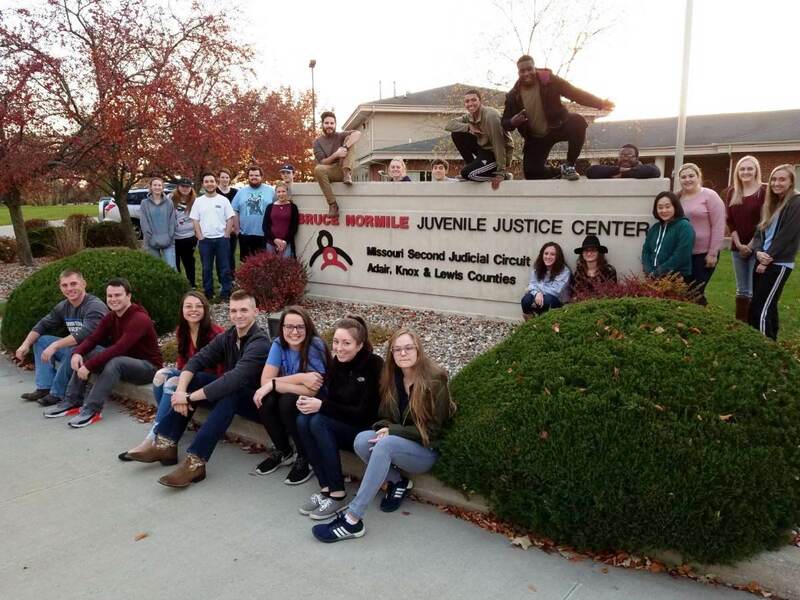 The Justice Systems Juvenile Delinquency class toured the Bruce Normile Juvenile Center in Kirksville with alumnus Kevin Martin on November 1.